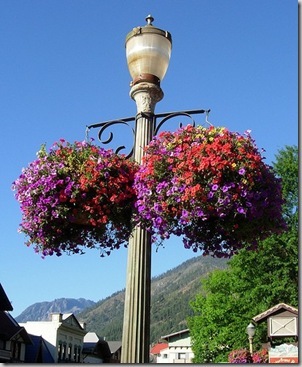 The city of Victoria, British Columbia has the most decadent flower baskets hanging from the lamp posts in the shopping district all summer long. They’re bright, they’re cheerful, and most importantly, they guide tourists down the streets and show shoppers which areas they’re likely to find most interesting. How can you use this idea at home? Well, one of the problems I see often as a landscape designer is that a lot of folks have confusing entryways. Clients often complain of their “before” garden that people are coming to their kitchen or back door instead of their front entry, and then they have to guide guests past the dirty breakfast dishes on the way in! Hanging baskets are an easy way of drawing people’s attention where you want it. Even within the garden, if you have some views that are less sightly than others, you can lead people’s eyes to your small fountain or pretty statue by placing a bright hanging basket on a pole nearby, instead of letting their eyes wander to your crumbling vegetable bed or needs-to-be-weeded wilder area of the garden! They need water. Lots and lots of water. That’s every day, or close to it. (Unless, of course, you go for an all-succulent basket, which can be every bit as eye-catching and year-round, too!) You can hook up drip irrigation to it by running the tubing up the pole or, if it’s on your patio, along the underside of your eaves and down one of the chains that holds the basket up, but most people just make hand-watering a routine. They need to be replanted seasonally. Container plants are reliant on you to make sure they aren’t root-bound and have enough nutrients. Most flowers that people use in hanging baskets are also either annuals or short-lived perennials, so they don’t last year-round. That means you’ll need to replace some plants every six months or so, and you’ll want to refresh the entire basket – potting soil and all, once a year or whenever it fills up solid with roots. That costs money, dudes. They need to be fiddled with. Annuals and flowery things often need their spent flowers removed. It’s just biology – once annuals have set seed, they think their progeny are off to the races and it’s time to die (good thing people aren’t like that!). So you’ll need to take off the dead flowerheads every few weeks and possibly give things a mid-season trim-up if they’re getting scraggly. You’ll also need to apply either a liquid fertilizer very often or a slow-release fertilizer such as most granular organics every six weeks or so. So – you’ve got some spare cash, you like to putter around with your flowers, and if you’re planning on going on vacation, you either have an automatic watering system or a pet-sitter who can water. You’re all set! The city of Victoria BC offers a fantastic brochure on how to make your own hanging flower baskets, with how-to photos and the planting design they use for sunshine. 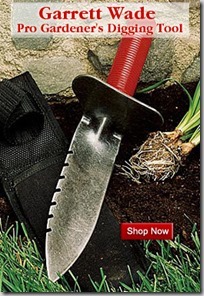 Or, Fine Gardening has a great step-by-step tutorial. But what plants do I use? Well, Proven Winners has an awesome website with page after page of suggestions for flowers that work together in hanging baskets. This one’s my favorite (so girly!) but there are lots of color combos. Or you can put something together yourself at the nursery. My top picks? And don’t overlook the succulent section! Lettuce – red, speckled and green – but avoid head lettuces like Iceberg as they’re way too heavy for growing on the side of a basket! Check out Life on the Balcony’s hanging salad bowl or her beautiful long hanging baskets (with instructions). Fellow landscape designer Andrew Keys has a drought-tolerant hanging basket design. 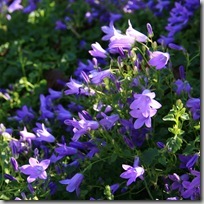 The Houston Chronicle has a cool video on how to make hanging baskets. Most folks just plant hanging flower baskets in summer and take them down in winter, but if you’d like to plant in fall, here are some winter-blooming annual flowers that will give you gorgeous color fall through spring. Great info here, Gen! I’m glad that you tell it like it is; hanging baskets are fantastic, but they are also pretty high maintenance. I remember seeing some in early Spring, years ago, along a city shopping district (Portland? Seattle? London?) that included dwarf daffodils, hyacinth, cyclamen and English ivy—really spectacular. WOW–that’s not a post, that’s a short book on hanging baskets! Thank you for your insight and your special lists. I’m hanging on (ouch!) to this one. .-= Daffodil Planter´s last blog ..Narcissus ‘Misty Glen’ takes home the Wister Award =-. What a post!!! I’d love to see some of your hanging baskets – I’m sure they’re fantastic! I never really plant them here as it gets so dang hot in the Summer and one missed day of watering and Blam-O…show’s over! Thanks for such an extensive post – I’ll most definitely be passing this onto some of my clients! .-= rebecca sweet´s last blog ..Wordless Wednesday – St. Patrick’s Day =-. Aww, thanks you guys! Monica, I always forget you teach so many in-person classes in addition to your book and blog! I’m so shy, I have trouble imagining standing in front of so many people and having to be all smart and everything like you do! 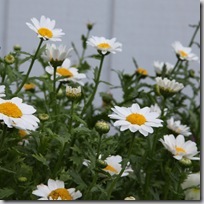 .-= Susan Morrison´s last blog ..All New Square Foot Gardening Cookbook =-. Hah – Susan, duuuuude, you are SO right. 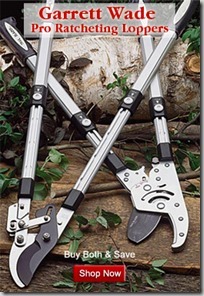 Seriously, I get home from a long day of landscaping and hand-watering is the last thing on my mind. I am a terrible plant Mommy in my own garden. Luckily there is drip irrigation in the world! When should I start my hanging baskets if I want them to be attractive by May 25th in the pacific northwest? I have a garage and an unheated greenhouse. Thank you. 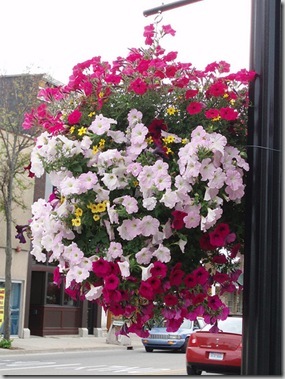 I first saw these beautiful hanging flower baskets in Victiria, BC when I was there for a scientific conference 45 or 50 years ago. They enlisted the senior citizens to water the flowers each night. They had a small watering system attached to their waist. They used an extension with a crooked end. They placed the end of the extension into the basket and made one complete turn of the crank on the watering system. The flowers were beautiful.